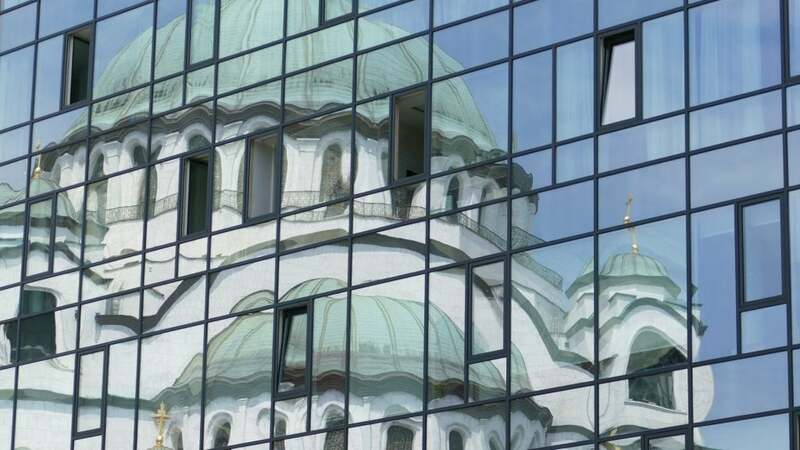 A first group meeting in the Serbian capital of Belgrade was the initiation of the trilateral market coupling between Croatia, Serbia, and Bulgaria. The successful event was attended by representatives of the three national transmission system operators (TSOs), including the Croatian TSCNET shareholder HOPS, and the three respective electricity exchanges as well as regulatory authorities. Together, the parties involved have committed themselves to make every effort and providing the necessary resources to ensure the feasibility of the project and its timely implementation. The final objective is to establish a trilateral market coupling according to the European Multi-Regional Coupling (MRC) specifications. After a term of three years, the Croatian research project “Smart Integration of RENewables” (in short: SIREN) has been brought to a satisfactory completion by the project partners, one of whom is TSCNET shareholder HOPS, the transmission system operator (TSO) from Croatia. 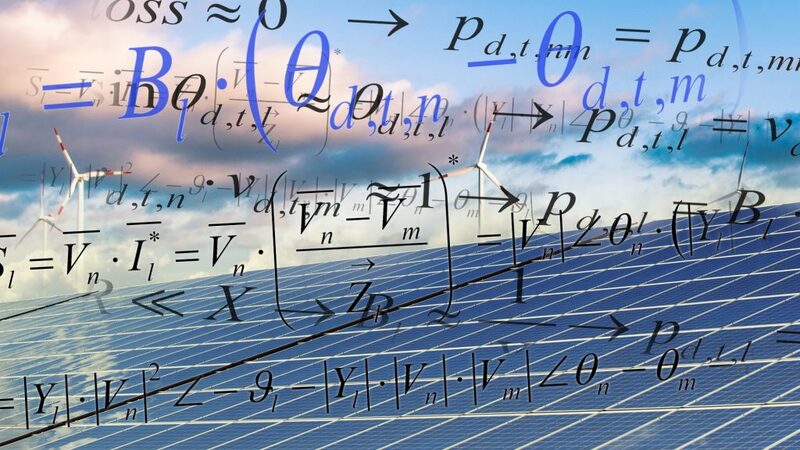 Together with the Croatian Science Foundation, HOPS was also the funder of the scientific research on the optimisation of current and the development of new system management strategies for the large-scale integration of volatile electricity capacities from renewable sources. An assessment of the capacity of the transmission grid and the production units was carried out in order to determine flexibility requirements. As second part of the project, the potentials of energy storage units in the transmission system – e.g. pumped-storage power plants, battery systems or flywheels – were evaluated. Finally, also regulatory aspects of the large-scale integration of storage solutions were subject of the research. Notwithstanding the successful and timely development of solution models and implementation propositions, HOPS will by no means cease its activities in this future-oriented sector. The H2020 project within the CROSSBOW project (“CROSS BOrder management of variable renewable energies and storage units enabling a transnational Wholesale market”), in which HOPS is actively involved, is a kind of continuation of SIREN. 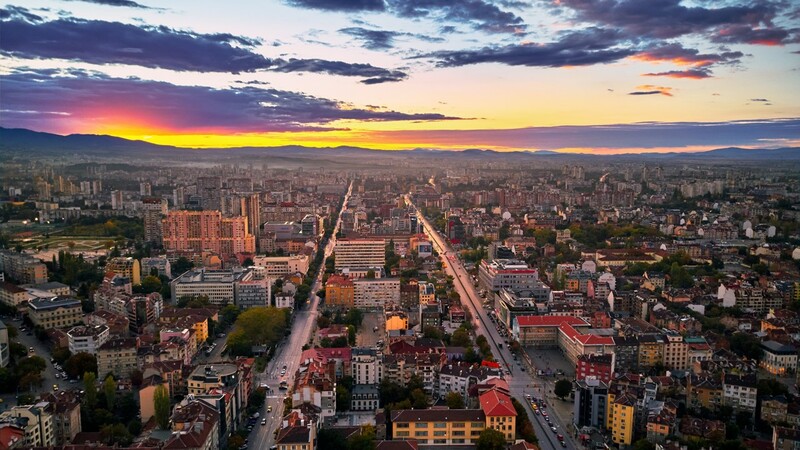 The multi-partner project CROSSBOW with a focus on Southeast Europe was launched in November 2018 in the Bulgarian capital of Sofia, with HOPS presiding over one subproject and one working package. The Croatian-Slovenian smartgrid project SINCRO.GRID is carried out by the two TSCNET shareholders ELES, the transmission system operator (TSO) from Slovenia, and HOPS from Croatia. The cross-border initiative aims at optimising the efficiency of the Croatian and Slovenian electricity transmission grids through the application of advanced technologies and innovative data processing methods. 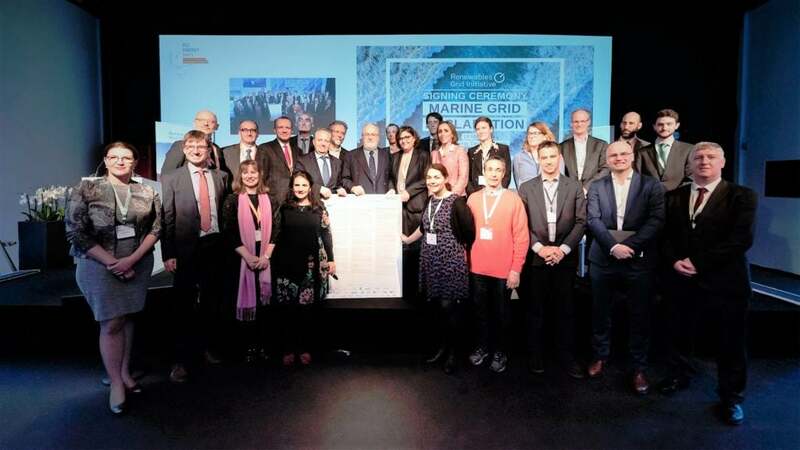 SINCRO.GRID has been awarded the status of Project of Common Interest (PCI) by the European Commission under the Connecting Europe Facility (CEF) programme. On behalf of SINCRO.GID, HOPS has signed a contract with KONČAR-KET, the Croatian provider of engineering services for power generation, transmission or distribution facilities. The contract comes with the rather unwieldy title: “Process technical systems for the voltage and reactive power regulation support of the EES and dynamic monitoring of the transmission line load within the SINCRO.GRID project”, but what it’s all about is to increase the quality and capacity of the power system through the use of advanced process technical systems and algorithms. This will also promote the integration of the renewables and increase the security of customer supply. A significant step towards an integrated European power market is expected to be taken on 19 June 2018, the scheduled launch date for the Croatian-Slovenian market coupling project. Since spring 2017, the TSCNET shareholders ELES, the Slovenian transmission system operator (TSO), and HOPS from Croatia have been preparing the market integration to establish day-ahead capacity allocation and congestion management at the Slovenian-Croatian border in accordance with the respective specifications of the European Commission. In May and June, the partner TSOs will be performing trial runs on the market coupling processes and procedures. 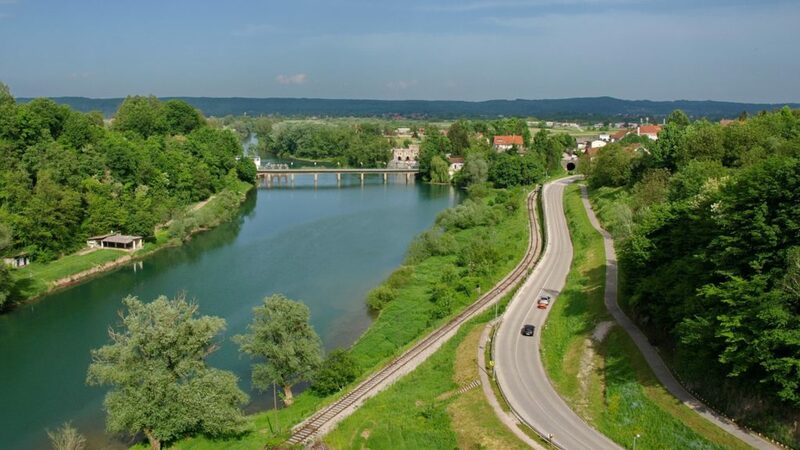 From the launch date onwards, capacity for the Croatian-Slovenian border will be implicitly allocated through the Price Coupling of Regions (PCR) solution for the day-ahead markets. This makes the border a part of the Multi-Regional Coupling (MRC) and for the first time, the Croatian bidding zone will be included in the internal European market via the Slovenian bidding zone. 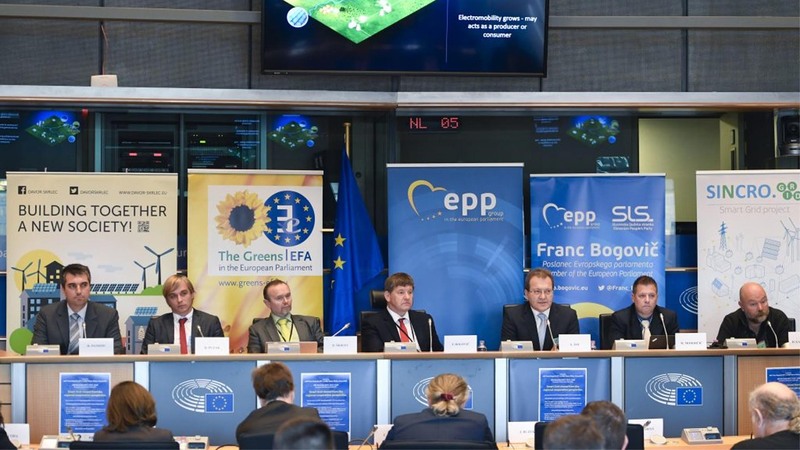 A conference on smart grids from the perspective of regional cooperation was hosted in the European Parliament in Brussels on 28 November by the two members of parliament Franz Bogovič from Slovenia and Davor Škrlec from Croatia. As part of the conference, TSCNET shareholders ELES, the Slovenian transmission system operator (TSO), and HOPS from Croatia introduced their joint smart grid project SINCRO.GRID, a Project of Common Interest (PCI) within the frame of the “Connecting Europe Facility” (CEF) programme. SINCRO.GRID aims at optimising the efficiency of the Croatian and Slovenian electricity transmission systems by means of deploying advanced technologies as well as innovative data processing methods. The cross-border project is coordinated by ELES and, in addition to the two TSOs, consists of two distribution system operators from both countries. SINCRO.GRID project manager mag. Simon Tot, Head of Strategic Innovation Project Coordination at ELES, presented the joint venture on the conference and emphasised the importance of such events, since they provide the “opportunity for best practices exchange, international connection and the source of ideas for planning new projects”. Sometimes complex issues require adequately complex designations. This is the case with the research project for “CROSS BOrder management of variable renewable energies and storage units enabling a transnational Wholesale market”, or in short: CROSSBOW. This multi-partner project belongs to the currently most relevant innovation projects of the EU in the smart grids sector. It is financed by the European Commission with €17.99m under the framework of the Horizon 2020 programme. The kick-off meeting for CROSSBOW was held in the Bulgarian capital of Sofia on 9 and 10 November. The CROSSBOW consortium consists of 24 commercial, non-profit and academic partners, among which are the transmission system operators (TSOs) from eight Southeast European countries (Bosnia-Herzegovina, Bulgaria, Croatia, Greece, Montenegro, the Republic of Macedonia, Romania and Serbia). The participating TSOs share a special interest in the two interrelated strategic goals of CROSSBOW: Enabling a higher share of renewables within the systems and the market on the one hand, and the reduction of operational costs to improve economic benefits on the other. CROSSBOW is divided into six subprojects and nineteen work packages. TSCNET shareholder HOPS, the Croatian TSO, presides over subproject 6 (“Integration and demonstration”) and working package 13 (“Large scale demonstration activities of the integrated CROSSBOW eco system”). The duration of the project is four years, and in its later period, the eight TSOs will evaluate the outcomes of CROSSBOW and demonstrate the individual challenges of each participating country. The picturesque Šibenik is the oldest native Croatian town on the Adriatic shore and steeped deep in history. 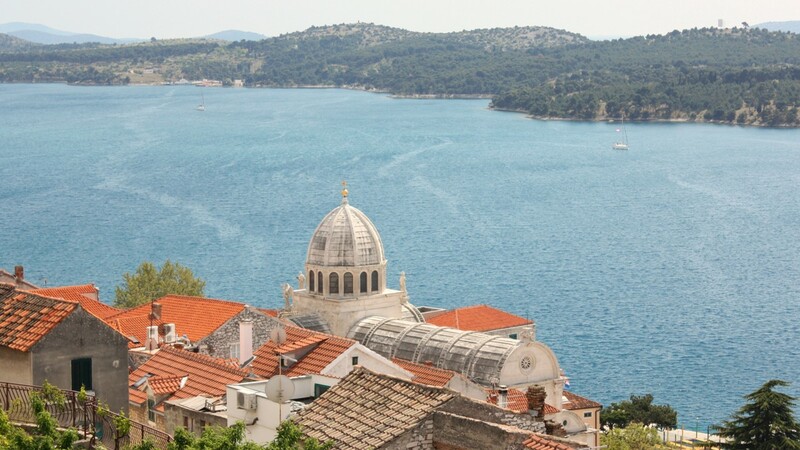 From 5 to 8 November however, the coastal town was also highly future-orientated, when Šibenik set the scene for the 13th Croatian session by the Council on Large Electric Systems (CIGRÉ). More than 900 experts regarding power plant related issues participated in a record number of papers, presentations and also excursions to technical facilities, thus turning the 13th HRO CIGRÉ Session in the most succesful one to date. The topics discussed in sixteen workgroups covered a multitude of energy aspects, such as substation design and maintenance, smart grid and renewables integration, transmission and distribution coordination, regulatory questions, market models or new techniques for increasing transmission capacities. TSCNET shareholder HOPS, the Croatian transmission system operator (TSO), co-hosted the event. Its opening adress was held by Miroslav Mesić, Ph.D., President of the HOPS management board and HRO CIGRÉ President. A presentation of the Croatian-Slovenian smart grid project SINCRO.GRID, in which HOPS cooperates with further TSCNET shareholder ELES, the Slovenian TSO, was also part of the opening ceremony. The Cross-Border Intraday (XBID) initiative is a joint initiative by power exchanges and transmission system operators (TSOs) from eleven European countries, to create a joint integrated cross-border intraday market. Now TSOs and nominated electricity market operators (NEMOs) from Austria, the Czech Republic, Germany, Hungary, Romania, and Croatia including six TSC members (50Hertz, APG, ČEPS, HOPS, MAVIR, and TenneT) have agreed to form a local implementation project named LIP 15. Together they want to implement continuous cross-border trading and to introduce implicit allocation of cross-border transmission intraday capacities on the Czech-German, Czech-Austrian, Austrian-Hungarian, Hungarian-Romanian, and Hungarian-Croatian borders fulfilling the requirements set by the EU-wide cross-border intraday XBID project. The single Intraday cross-zonal market solution will be based on a common IT system linking the local trading systems operated by the NEMOs as well as the available cross-zonal transmission capacity provided by the TSOs. The XBID IT solution is expected to be technically ready by the end of 2017. In the sequel, the local implementation projects will make their final go-live preparations. 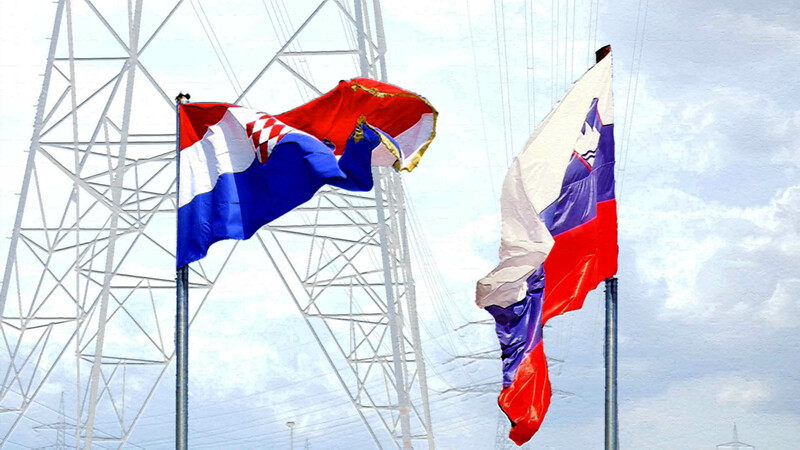 The TSC members ELES, the Slovenian transmission system operator (TSO), and HOPS from Croatia are making a substantial move towards the pan-European power market integration. In collaboration with power exchanges BSP and CROPEX and with support from the respective national regulatory authorities, the two TSOs have initiated an ambitious cross-border project. The main objective of the TSO cooperation is to establish day-ahead capacity allocation and congestion management at the Slovenian-Croatian border in accordance with the specifications of the European Commission on this matter. A design project phase started in April 2017 and the definite implementation of the market coupling is scheduled for the second quarter of 2018.